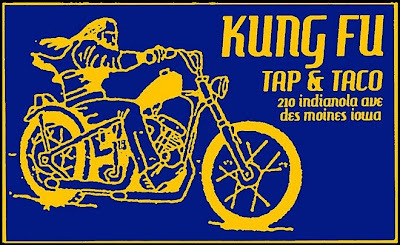 Des Moines, Iowa - Kung Fu Tap & Taco. 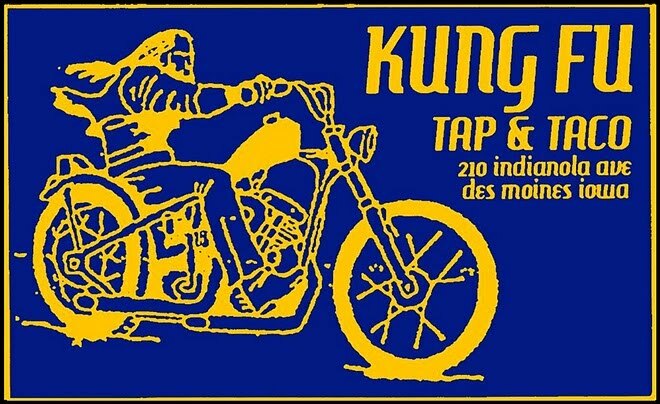 Every Night is Bike Night -Kung Fu is open 7 Days a week, noon till 2am - at 210 Indianola Road, Des Moines, Iowa. Cheap beer and $1.50 Tacos. Pool table, video games, patio smoking. Neighborhood bar for lots of local bikers, plus a lot of bikers stop by that are traveling through the midwest. Phone: 515 - 285 -TACO. 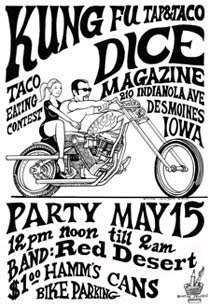 -Matt & Dean of Dice will be in the house. -Red Desert from Minneapolis will be playing.